South Sudan on Wednesday rejected a U.S. proposal for the U.N. Security Council to send 4,000 additional troops to the East African country to restore calm, saying it "seriously undermines" its sovereignty and threatens a return to colonialism. Government spokesman Michael Makuei said the proposal gives the U.N. the ability to govern. The proposal also calls for a vote on an arms embargo on South Sudan if U.N. Secretary-General Ban Ki-moon reports within a month that authorities have blocked the regional force. The Security Council could vote Friday on the proposal, which comes after a former U.S. special envoy suggested last month that the U.N. and African Union temporarily administer the country after fighting broke out once again. South Sudan's pushback comes as U.N. officials say the government has begun a crackdown that includes seizing dozens of passports of U.N. workers and imposing restrictions on travel and delivery of food aid. 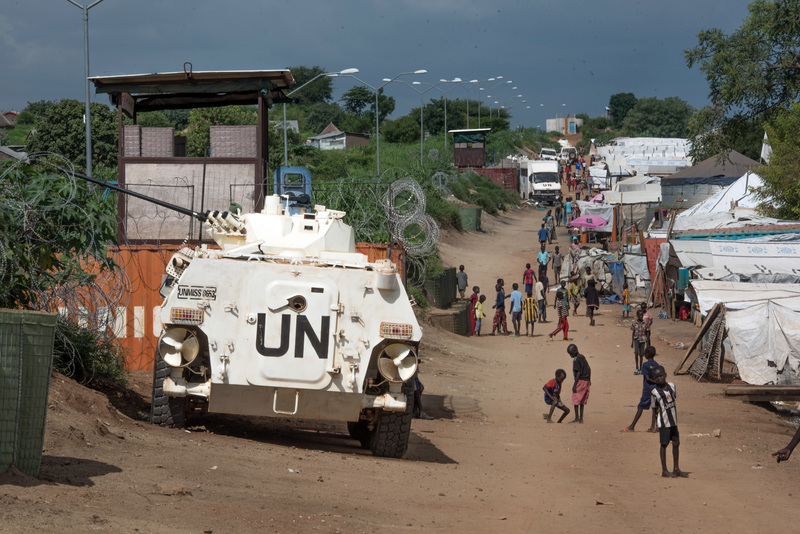 Deadly fighting in the capital, Juba, last month raised fears of a renewed civil war after an August 2015 peace deal and worsened a humanitarian crisis. Rebel leader and former first vice president Riek Machar fled during the fighting and says he will return only when regional peacekeepers secure the capital. An East African political body, IGAD, last week said South Sudan had agreed to a regional force, but Makuei on Wednesday disagreed and said the government had not been consulted. Under the U.S. proposal, the regional force would report to the U.N. force that numbers more than 12,000 peacekeepers but has been criticized for not acting to protect civilians. The regional force would protect the airport and promote "safe and free movement" in and out of the capital. "If South Sudan is turned into a U.N. protectorate, then this is not the end of the game but the beginning," the government spokesman, Makuei, said. "It will begin with South Sudan, but it will end up with all of us being turned into new colonies." The U.S. ambassador to South Sudan, Molly Phee, said the U.S. proposal is "entirely in line with what IGAD requested, and South Sudan is a member of IGAD." South Sudan's government has seized at least 86 passports of U.N. workers and imposed other restrictions that are a "clear violation" of the U.N.'s operating agreement with the government, a spokeswoman for the U.N. mission, Yasmina Bouziane, told The Associated Press. South Sudan's foreign minister, Deng Alor, has called it a temporary safety measure. The U.N. also has said the government has forbid it from traveling south of the capital. In addition, its World Food Program has had its flight clearances revoked for all food drops coming from neighboring Ethiopia, said a spokesman, George Fominyen. Speaking at the United Nations in New York, humanitarian chief Stephen O'Brien, who recently returned from a three day trip to South Sudan, said the country was facing a crisis that is "enormous and complex." "Sadly, in the past year, the humanitarian situation has significantly deteriorated, including in areas that were relatively stable, and displacement and hunger are now widespread across the country," O'Brien said. Associated Press writer Michael Astor at the U.N. contributed to this report.